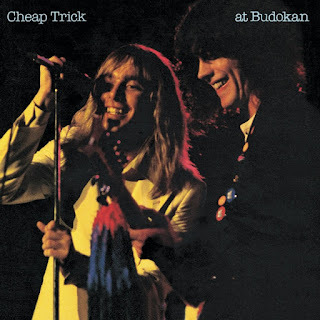 "At Budokan" is a live album by 'Cheap Trick' recorded in Tokyo on April 28 and 30, 1978, and released in 1978. 'Cheap Trick' had already released "Cheap Trick" and "In Color" at the time of Budokan's recording, as most of their setlist culls tunes from those respective albums, but a few songs from their upcoming smash "Heaven Tonight" also appeared. The album was ranked number 426 in Rolling Stone magazine's list of "the 500 Greatest Albums of All Time". In the U.S., the album peaked at #4 on the Billboard 200 and became the group's best selling album with over three million copies sold.